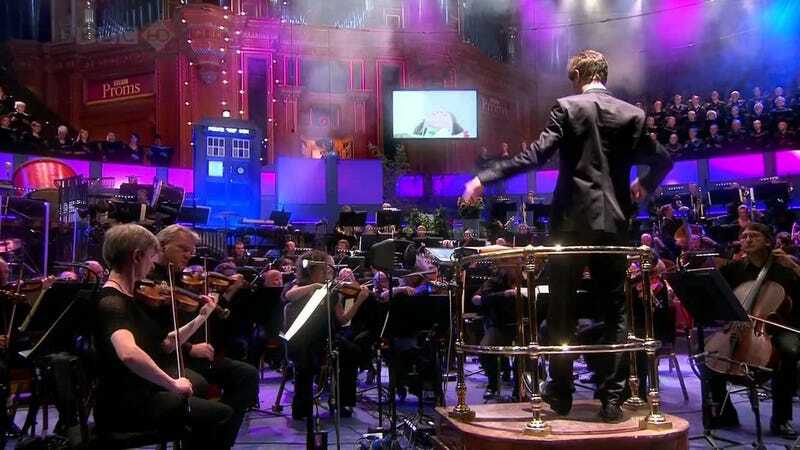 Listen to the Doctor Who Prom at Albert Hall - Now Archived! Doctor Who is back for a night at the Proms to celebrate its Birthday, and you can listen along live! For the next two and a half hours, BBC Radio 3 is going full on Who, with Louise Fryer presenting both halves of tonights performance by the London Philarmonic Choir and the BBC National Orchestra of Wales, as well as a special interlude programme where Matthew Sweet looks back on 50 years of the show's music. Hosted by Matt Smith, this years proms will include music from the recent series as well as other classic pieces such as Bach's Toccata and Fuge in D Minor, and the Habanera from Bizet's Carmen Suite No. 2 - as well as the début of a special 50th anniversary song penned by Murray Gold, suitableynamed Song for 50. You'll be able to listen along - regardless of whether you're in the UK or not - via BBC Radio 3's website. Edit: The Prom is now available to listen to on the iPlayer in two different parts, here and here.